The Lincoln Eastern Bypass - Better late than never. Now what about the rest? 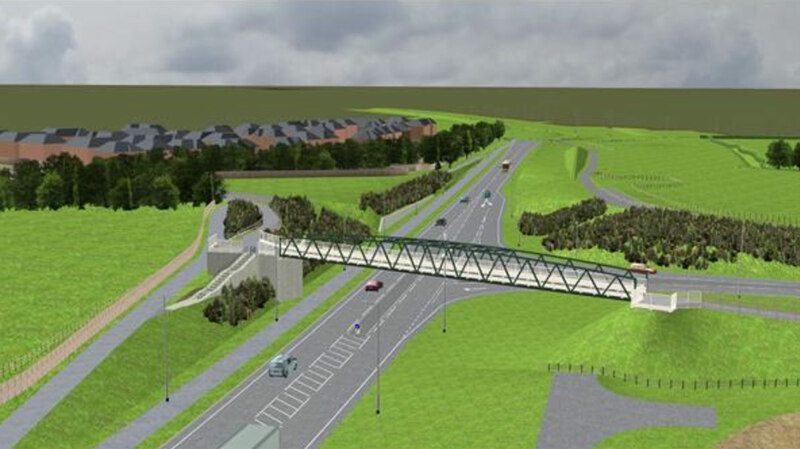 The Lincoln Eastern Bypass – Better late than never. Now what about the rest? Like many people I breathed a sigh of relief when the Eastern Bypass finally got the green light from Whitehall this week. Yes, it’s only a single carriageway road; but surely one lane either way is better than none. Also, this road was crucial for the development envisaged between Canwick and Bracebridge Heath in the new Local Plan. Without it this development would have struggled to get off the drawing board. For all those who think that we can just collectively wave a magic wand and the extra cash for an all singing and dancing dual carriageway road will suddenly appear I have to say that it’s not just the cash, although, if a Russian Oligarch or an Arab oil Sheik suddenly came up with a few £100 million, I’m sure the authorities responsible wouldn’t say no. The Department of Transport made it clear to the county council when the first plans were submitted several years ago that it did not consider this route to be a strategic one and was therefore not prepared to support a dual carriageway road. I must say that I agree with them. However, the Western Bypass is a vital strategic link for traffic moving between the East Coast and the Humber ports and the East Midlands corridor. If there is any more dualling to take place it should be to its remaining single carriageway stretches. The problem is that the road between Pennells and the junction at Skellingthorpe Road is controlled by Highways England, who, so far, have resisted change. The road between the A15 Riseholme roundabout and the A158 Wragby Road roundabout was actually built by the county council, as the Thatcher government would only finance the bypass up to the A15 (not many people seem to know that!). As the county is strapped for cash, there is little chance of this happening in the near future, unless the Greater Lincolnshire ‘Powerhouse’ becomes a reality. I write as someone who has virtually made a political career over more than 30 years in campaigning for a North Hykeham bypass, so the news that construction, paid for largely by private developers, of part of the Southern Bypass features in plans to develop land between North and South Hykeham as part of the new Central Lincs. Local Plan is a bonus to us around here, even though the price we have to pay is even more housing growth. Let’s hope that money can be found to continue over Brant Road and up Waddington Cliff eventually to meet the Eastern Bypass at the A15. And let’s hope it happens BEFORE the planned starting date of 2036! Even if, eventually, Greater Lincoln does get its ring road, this will not greatly relieve the congestion on the roads in the west in particular that lead what is largely commuter traffic into and out of the centre of town. A partial bypass around North Hykeham will help relieve some of the pressure at pinch points in the old village and the Newark Road crossroads as traffic will no longer be forced to use Station Road, Moor Lane, together with Chapel and Meadow Lane (not forgetting villages such as Thorpe on the Hill and Aubourn/Haddington) as an unofficial bypass. However, this will happen only if this partial stretch reaches at least Brant Road. Waddingtonians may argue that this will increase traffic along Brant Road and Station Road. But that traffic already comes their way. The difference from now may be that it would no longer come in large chunks; but would be better managed. Traffic still needs to get in and out of Lincoln. My suggestion probably is pie in the sky; but here goes. Get rid of the level crossings on Skellingthorpe and Doddington Roads by dropping the line to run underneath and ‘encourage’ Asda to move elsewhere. How about the Southern Bypass? If we are to have even more trains running on the line, those barriers are going up and down even more often and there is no doubt that the Asda roundabout causes severe delays at peak periods. We can but dream.